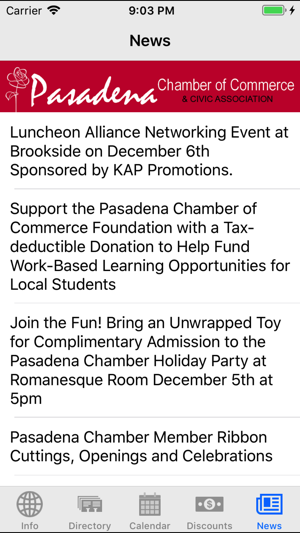 The Pasadena Chamber of Commerce and Civic Association is a dynamic professional business organization. in the 21st century, the Chamber's primary purpose remains supporting the prosperity of our members and enhancing of the business climate and quality of life in California's Crown City. 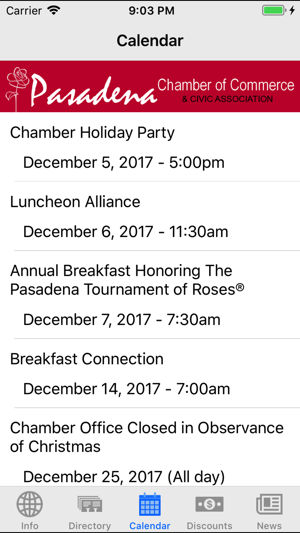 With this app you can discover local businesses, access the Chamber's calendar and find discounts at local businesses in Pasadena. 1.) Update app to run properly on iOS 11. 2.) Minor bug fixes and performance improvements. 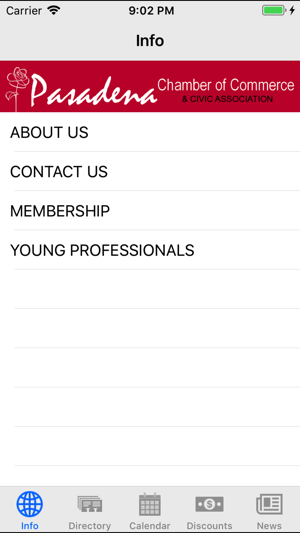 The app is full of information. 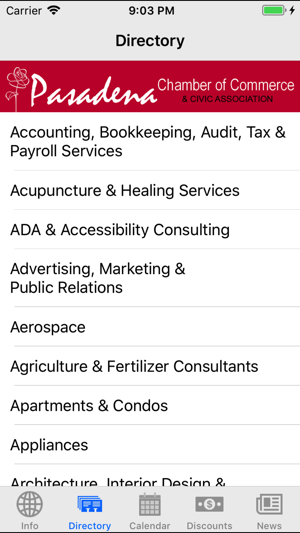 Simple and easy to find Pasadena products and services. 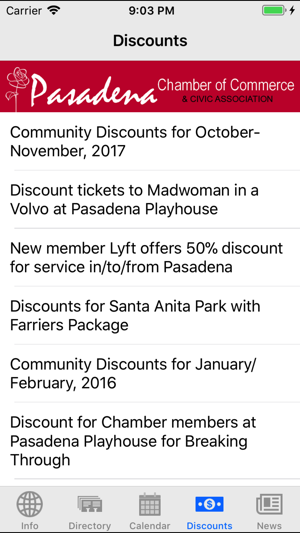 Calendar is straightforward and easy to find events. Like this one a lot. Anything you need in the Pasadena area you can find here. There are even discounts.